While I did make it through a solid chunk of my 2017 reading goals, there were inevitable additions/distractions. Plus, I read the 1800 page A Court of Thorns and Roses trilogy. Twice. I have 202 unread books in my house. 230 if you count e-books. And our house is not that big! Last year I started out with 150 unread books in the house. I read 30 of them (plus a whole host of others) and have somehow ended up with more books in the end! To help me tackle this situation keep my husband from banning me from bookstores entirely, I've joined #theunreadshelfproject2018 on Instagram to help me meet my reading goals this year. Mainly, my hope is that there are less unread books in my house by December 31st. The Unread Shelf Project 2018 is co-hosted by @theunreadshelf, @katereadsbooks_, and @calsreads. There are weekly and monthly challenges to help you reacquaint yourself with your unread books and motivate you to actually read them! You can find out more about The Unread Shelf Project and the challenges by checking out the three co-hosts and by following the hashtag #theunreadshelfproject2018. The first challenge was to count all of your unread books (see above 🙈 ). The second challenge was to feature an unread book each day for seven days over on Instagram. I've had fun with both of these challenges and look forward to seeing what comes up next. What I love about the philosophy behind the Unread Shelf Project is that we aren't putting a full stop to buying or borrowing books for the year, but we are trying to be more mindful about our buying and borrowing right now. This way we can show our own books a little more love and probably discover some gems we didn't even know we had! You can follow me along with my Unread Shelf Project here on Instagram @jennbairos. This seems like kind of an obsessive way to tackle books, but I started working through the alphabet of my books a few years ago and one thing I like about reading my unread shelf in alphabetical chunks is that it is usually a manageable pile to start with. Then I can really go through which books I want to read and which ones I just need to unhaul into the free little library on our street. I always end up straying from my pile, so I keep relatively flexible about it all. I also usually alternate between reading a romance novel and then something that's not romance. 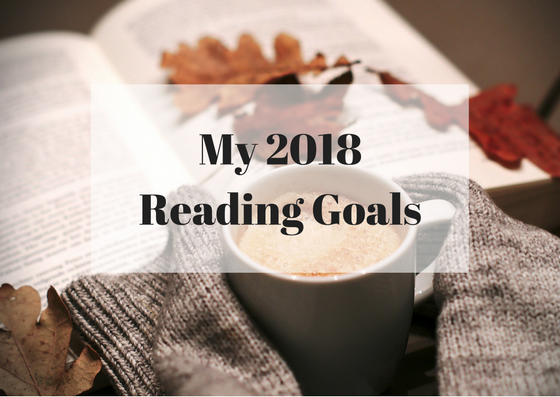 The Outlander series has been a reading goal of mine forever. It will happen this year! Sarah J. Maas has four books being published this year. I can't wait to devour them all. I will also probably reread the Throne of Glass series next summer in anticipation of the final book being released in September! Jennifer Robson has also been dropping hints on her social media pages that she has a new book coming out later this year. She's another auto-purchase author for me. She writes beautiful historical fiction with touches of romance. I love everything she's written. I enjoy reading Christmas-themed books during the holidays. This past Christmas I was gifted a few, so I've already got these books ready to go for December! A few friends and I just started a new book club as well. Our first official meeting is later this week, and we're discussing The Heart's Invisible Furies by John Boyne. I just finished it, and it was so amazing! I look forward to seeing what gets picked next. I read a lot of non-fiction last year, so this year I'm taking a bit of a non-fiction break. I have a couple shorter non-fiction books that I'll probably read, but I've really just been craving fiction to escape in lately. I'm setting my Goodreads Challenge at 100 books. We'll see what happens! !